Open Sunday 4/28 1-4. Terrific Federal on fab block on Capitol Hill! 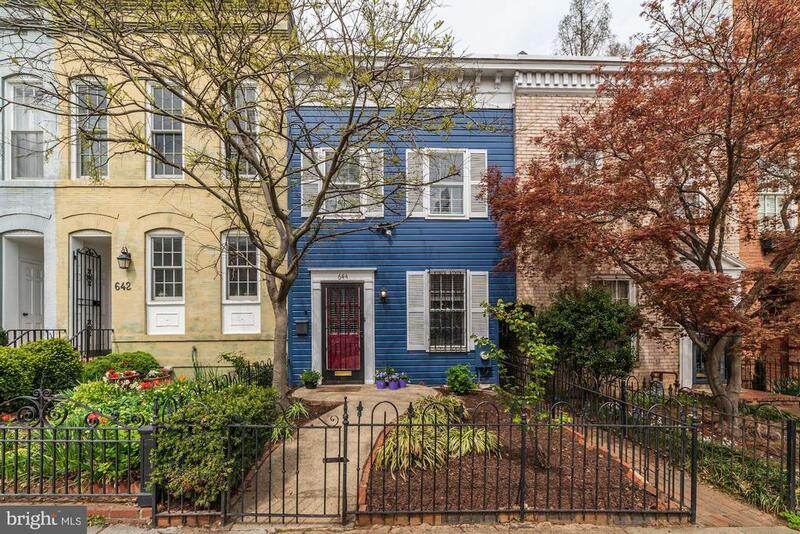 With the metro less than a block away, and near Barracks Row and Eastern Market, this property offers great walkability! Filled with charm and well-proportioned space, the home features a south-facing, bright living room anchored by a fireplace. The living room has numerous built-in bookcases. Open concept floorplan in the dining room and living room. Updated kitchen offers ample cabinets and plenty of counter space as well as SS appls. 1st Fl. powder room. 2nd Fl features two nicely sized bedrooms and a large full bathroom. Copious closets and master bedroom with additional FP. The large backyard offers many entertaining and grilling possibilities!